Horses have always played a role in the gaming world. As an integral part of a knight’s image, it is difficult to imagine any medieval or fantasy game without horses. These graceful and powerful animals can be seen in a lot of online games as well, but mostly as mounts. There are many sites that offer casino games, bingo, slots and others, such as the Legs11 Bingo site, but there are only a few games that feature horses as the main character, allowing you to take the role of a horse or a horse breeder. Among those few, these are the best horse games that you can play online. 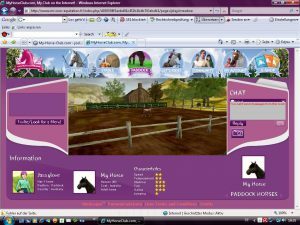 A Virtual Horse is a free online game in which you play the role of a horse breeder. At first, you get a piece of land in a small town and you build your base. You can create horses, stables, mines, sawmills, wells and other buildings necessary to take care of your horses. You can also design the interior of your facilities in a way that’s reminiscent of old games such as Age of Wonders and Heroes of Might and Magic. After building your base, you must feed and train your horses. They can do some jobs or compete in horse races. Unfortunately, the game does not allow you to control the movement of your horses in competitions. The results of competitions are decided based on your stats. The nostalgic appearance of the game and the simple gameplay will definitely keep you hooked. If you want to play a game in which you can actually ride a horse, My Horse Club is one of the best horse-riding simulation games. You can choose your horse from a variety of horse breeds. You must groom and train your horse and you can take it for a ride over the countryside. The graphics of the game are a little outdated, but you can still ride your horse in a 3D world and you can play the game on low-end computers. 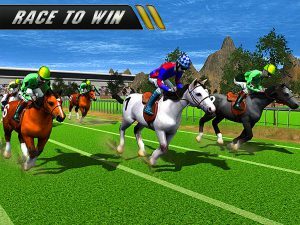 Another great horse-riding game for those who are fans of competitions is Racing Club Championships. This wonderfully designed game allows you to compete in a number of equestrian disciplines, such as jump agility, pole bending and show jumping. As the focus of this game is placed on online competitions, you can play it against your friends or anyone around the world and compete for the title of the champion. If you don’t like the courses in the game, you can make your own and share them online. If you are keen on fantasy games, Alicia Online is the perfect horse game for you. In this game, you can take care of your own Pegasus and take part in horse races. The game is designed in an anime style, so you can enjoy colorful environments in which you can jump, fly and crash. With every victory, you get XP points, which you can use to upgrade your horse and move to a higher level. If you are more into quest games, you should definitely try Star Stable. Apart from feeding, grooming and training your horse, this game takes you on exciting adventures. Riding your horse from place to place in a beautifully designed world, you embark on mysterious quests and you create your own story.